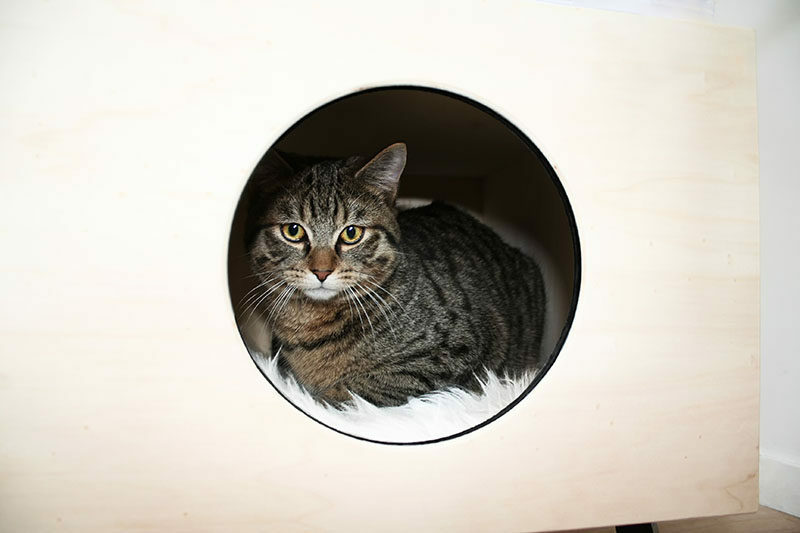 When Wout, an owner of two kittens, Boris and Pippa, wanted to find a cat bed that would be a fun space for them to enjoy their city home, he came up empty handed, he couldn’t find anything he and the kittens liked. Wout reached out to Nikita, a friend and designer, and together they co-founded Krab, a company that has designed its first piece named Nest. 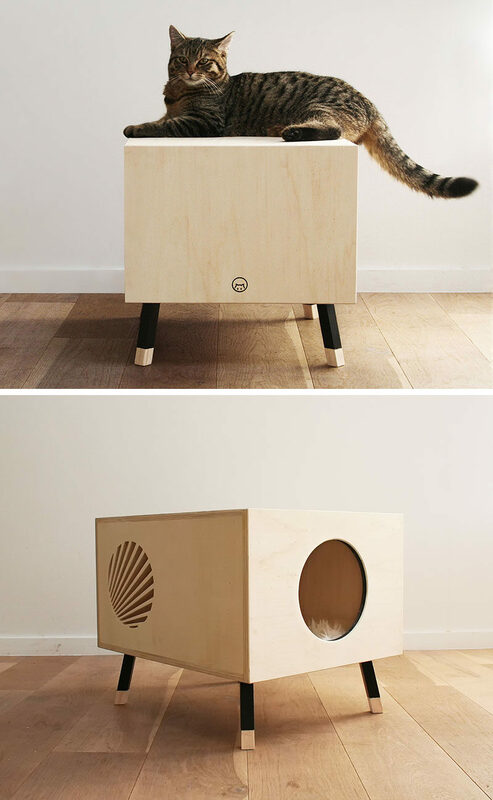 After spending many months they created a variety of designs, Nest was the only design that the kittens liked and that would suit any interior, therefore making both the owner and their cats happy. 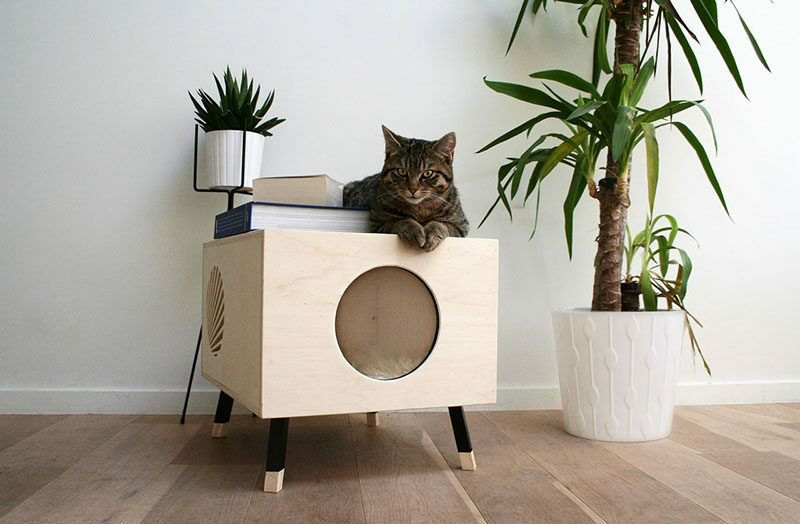 Nest is made from high-end plywood, that has a main entry cut out and decorative element so that a cat can see out, as well as it provides ventilation. As the design of the table is minimal, it can also double as a side table in any modern interior.